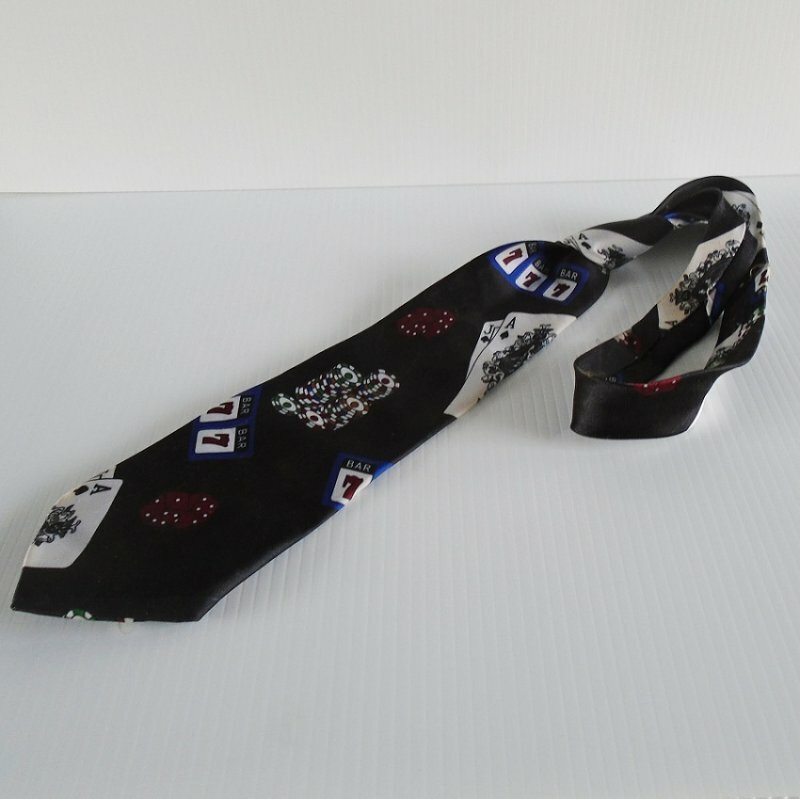 Gambler's necktie with casino and gaming themes. Slot machines, poker chips, playing cards, dice, etc. Adult size, unisex. The perfect clothing accessory for someone who loves to go to the casino. Wear it to your job, to a party, to a show, or just anywhere you'd like. The tie has a base color of black. Pictured are slot machine symbols, chips, dice, and playing cards. From end to end it measures about 59 inches. It is polyester. I obtained it at an estate sale so I don't know what amount of usage it's had. I looked it over and see no tears, runners, or discoloration. I have not washed or cleaned it. You will receive it just as I did. Buyer to pay $4.40 USPS First Class Mail Parcel postage charges. Shipping is from Arizona.